This 9-3/4 inch long exterior recessed light is simple and beautiful. 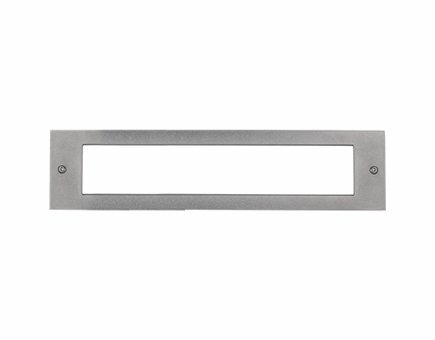 The rectangular die-cast aluminum housing acts as a border for the rectangle of LED light. Bristol's polymeric diffuser ensures you never have hot spots of light. Dimmable. Use in both exterior and interior locations. If you have any questions about this product by Kuzco Lighting, contact us by completing and submitting the form below. If you are looking for a specif part number, please include it with your message.